i really like this picture! 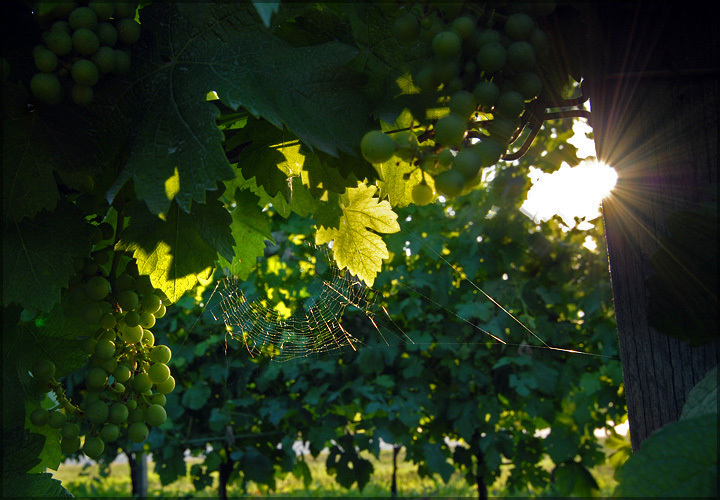 the colors are great, wonderful detail of the spiderweb, and those grapes look delicous! Good photo, but IMO, you shoud put the white light out of the composition. It takes more attemtion than the spider web. I call this a landscape. What do you call it???? Proudly hosted by Sargasso Networks. Current Server Time: 04/26/2019 03:41:40 AM EDT.